The Martells of old used a spear as their emblem, while Nymeria and her Rhoynar used the sun as theirs. When Nymeria wed Lord Mors Martell, the symbols were combined into a gold spear piercing a red sun on an orange field. 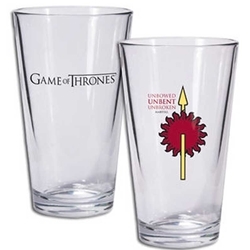 Their words are Unbowed, Unbent, Unbroken.